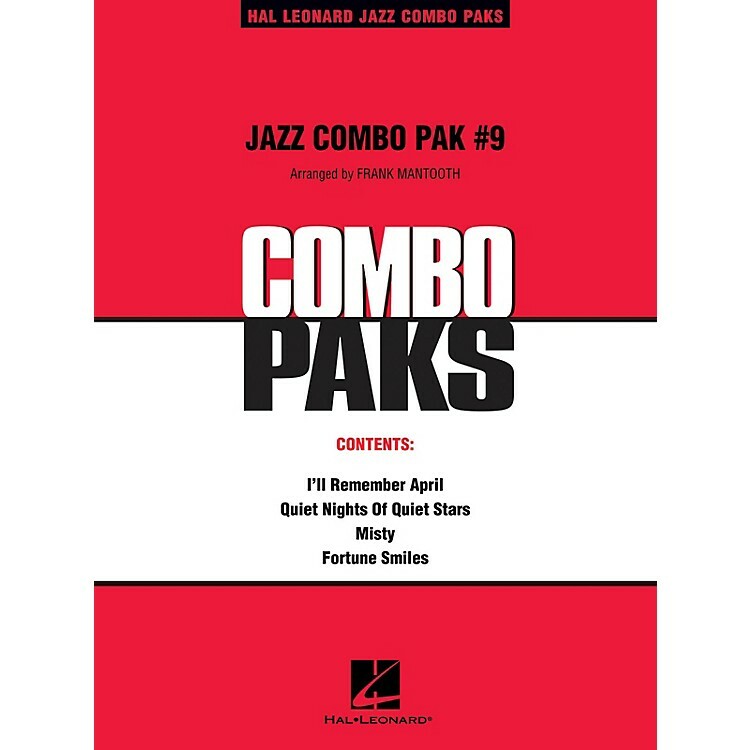 The Hal Leonard Jazz Combo Paks are a versatile and inexpensive way to put four fantastic charts in front of your high school or college combo. The flexible instrumentation provides many options for covering the parts; the arrangements are absolutely top notch; and at $45.00 for four standards you will never find a better value. Instrumentation: - Line 1 (lead or harmony): Alto Sax, Trumpet, Soprano Sax, Clarinet, Flute, Vibes - Line 2 (lead or harmony): Alto Sax, Bari Sax, Trumpet, Soprano Sax, Clarinet, Trombone - Line 3: Bari Sax, Tenor Sax, Trumpet, Trombone Pak #9 includes: Fortune Smiles · I'll Remember April · Misty · Quiet Nights of Quiet Stars (Corcovado).